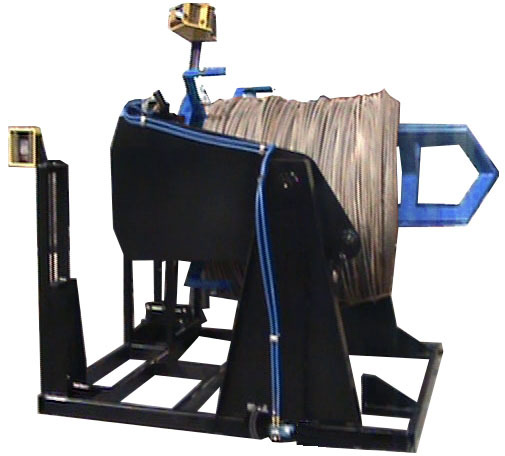 With the new TILT-UP DECOILER from CRS coil loading has never been quicker, easier or safer. With coil stock being stored horizontally and the decoilers loaded vertically, loading material has always been a long and unsafe procedure for coil machines. 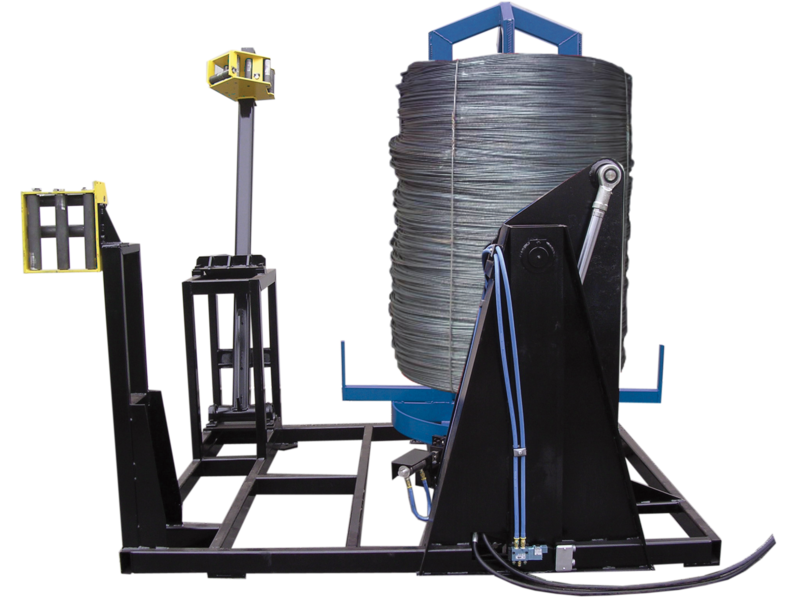 The newly developed and tested tilt-up decoilers have turned coil loading into a safe, one-step operation eliminating coil flipping. 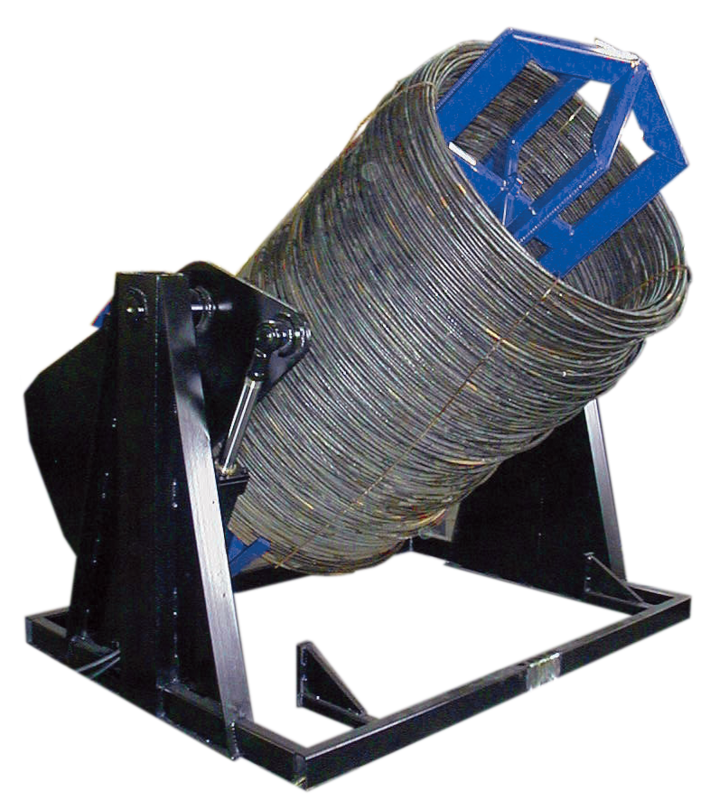 All that is required to load the coil is to simply pick the coil from the stack with either a forklift or a crane and just place it on the decoiler spool. The operator stands the loaded coil with a manual control lever from the operating station. CRS TILT-UP DECOILERS can be installed in place of existing decoilers for ANY make spiral OR coil machine. A hydraulic supply line is required from either the existing hydraulics of the machine or an external optional power pack.